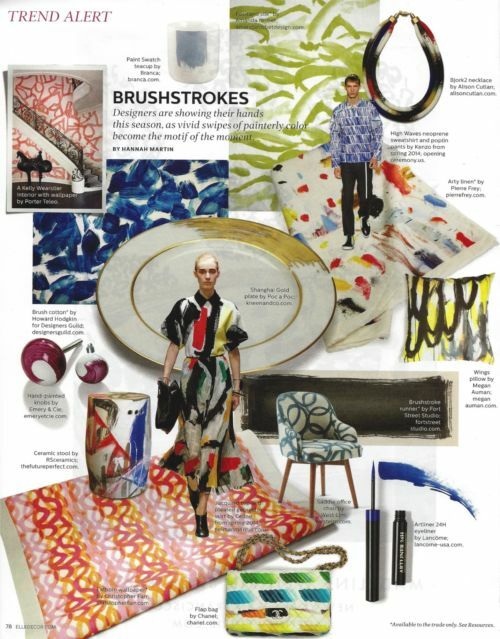 In this month's Elle Decor magazine, designer and Linensense contributor, Amanda Nisbet is spotlighted in the latest trend: BRUSHSTROKES. The article features her fabulous Positano silk fabric that you can find exclusively at her website. With her use of bright colors and bold lines who wouldn't want to use this fabric in their home?! Nisbet is featured in 'The Dreamer' personality of Linens and gives her expert advice on Children's rooms. Check out more about Nisbet in our contributor spotlight or by visiting her webiste.